On behalf of the acting Governor of Primorsky Krai Oleg Kozhemyako in the Primorye territory will strengthen the support for socially oriented non-profit organizations. This became known at the round table "Freedom and dependence", which was held on Thursday, November 29, in the Administration of the region. 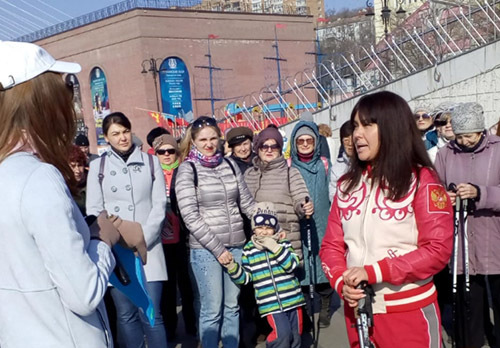 According to the head of the Department of internal policy Olga Ivchenko, to date, the regional budget provides 6 million rubles in several areas of socially oriented NGOs. Since 2019, this amount will increase significantly. "To date, grants can be obtained for projects aimed at the development of spiritual and moral foundations, adaptation and integration of disabled people, prevention of extremism, Patriotic education of youth, strengthening of civil society and the development of the Cossacks. On behalf of Oleg Kozhemyako there will be new directions - prevention of orphanhood and improving the quality of life of pensioners," she said. Funding for this sector will also increase significantly. Each direction will be provided for 10 million rubles, and the maximum size of the grant will increase from 300 thousand to 1 million rubles. "Starting next year, we will hold a competition by analogy with the presidential one – twice a year. This will allow the authorities and NGOs to become allies, to make our work even more effective," added Olga Ivchenko. Recall, support for the non-profit sector-the order of Russian President Vladimir Putin.